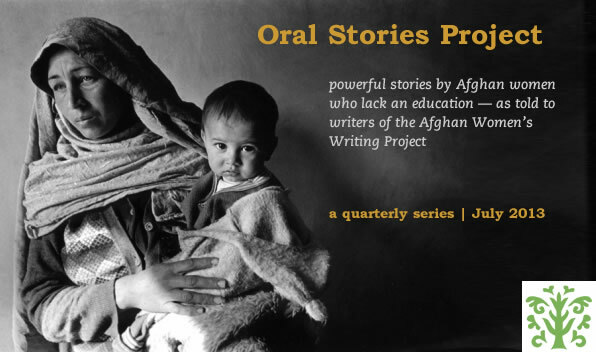 In Part 2 of the 2013 AWWP Oral Stories Project series we offer the stories from five Afghan women between the ages of 30 and 70 who were never given the opportunity to be educated. The stories from Frozan, Laila, Marya, Shazia, and Sunia were recorded, transcribed, and translated into English by our writers in Afghanistan and then edited for publication by our volunteer editors. We have also included a sixth story compiled from interviews with female university students and recent graduates about the struggles and obstacles they faced in getting an education in Afghanistan today. Although much has changed with the lifting in 2011 of the Taliban ban on allowing girls to attend school, female students still face threats and challenges at every turn. The obstacles include a lack of facilities, few female teachers, poverty, security issues, and widespread family traditions that oppose educating girls. UNICEF, a leader in the efforts to help reconstruct the education system, estimates the literacy rate for adults over 15 in Afghanistan at 39 percent. The rate for adult women is 13 percent. Although about half of the girls in Afghanistan now attend some years of school, most girls continue to drop out at age 11 or 12. To read more, click on the links below and please consider leaving a comment for the contributors.